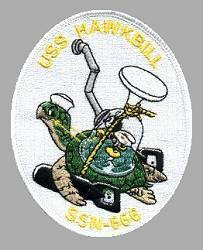 USS HAWKBILL was the 18th STURGEON - class attack submarine and the second ship in the Navy named after the large sea turtle. 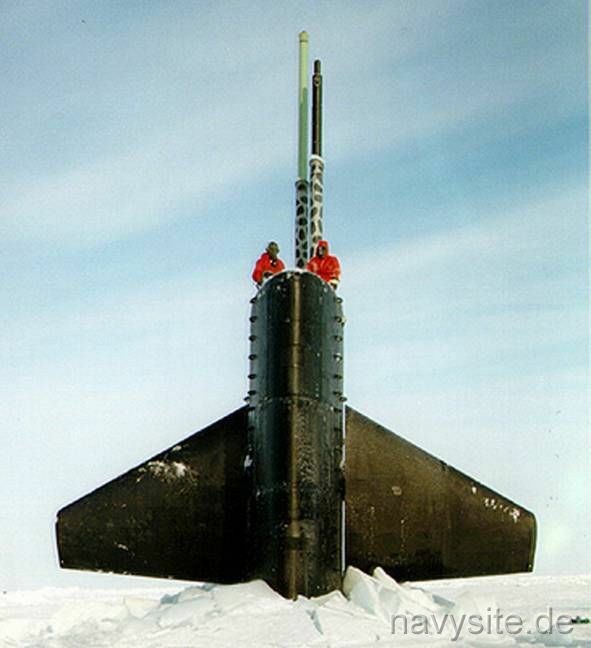 Decommissioned and stricken from the Navy list on March 15, 2000, the USS HAWKBILL subsequently entered the Navy's Nuclear Powered Ship and Submarine Recycling Program at the Puget Sound Naval Shipyard at Bremerton, Wash. 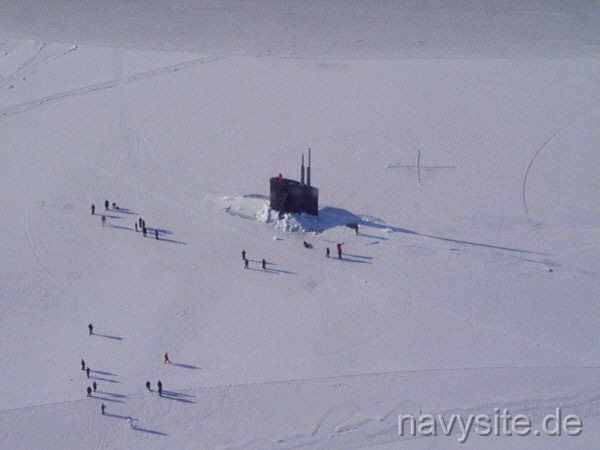 Recycling of the submarine was finished on December 1, 2000. This section contains the names of sailors who served aboard USS HAWKBILL. It is no official listing but contains the names of sailors who submitted their information. 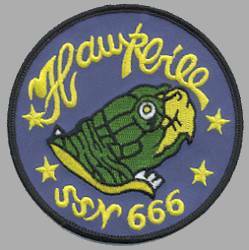 Click here to see which USS HAWKBILL memorabilia are currently for sale on ebay. June 20, 1979 off Hawaii The USS HAWKBILL reactor's primary coolant system develops a leak while the submarine is on maneuvers in Hawaiian waters which last for four days. Originally, the leak was about two gallons an hour, but by the time the submarine docks at Pearl Harbor, HI, on June 23, the leak has been reduced to three-quarts an hour. On June 24 it is stopped. The Navy says none of the water escaped, as it was captured and stored in tanks designed for such contingencies and that none of the crew was in danger. Supplemental coolant water was pumped in to prevent overheating. 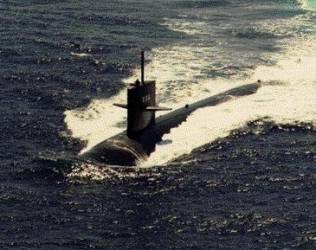 According to the Navy, "the leakage was caused by normal wear of inside parts of valves. Such leaks happen occasionally." December 3, 1980 Puget Sound Naval Shipyard, Bremerton, Wash. During a test, about 150 gallons of low-level radioactive water leak from a faulty valve on the USS HAWKBILL undergoing overhaul at the PSNY. Five workers receive low-level radioactive contamination. 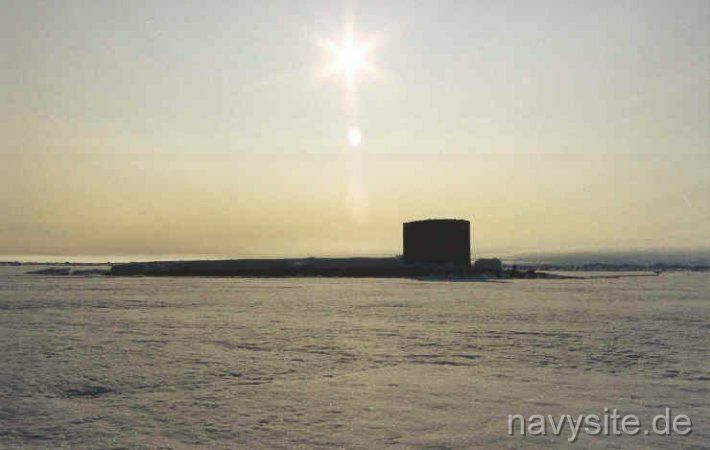 A Navy spokesman says they received a dose of radiation "less than that typically received by a chest X-ray."